Are you ready to transform your backyard from a place you want to escape to the ultimate escape? A makeover can give your outdoor space personality and life, as well as be an inviting retreat for friends and family to gather. Landscaping, lighting, seating and dining areas might be a part of your plan. But the one thing you don’t want to forget? 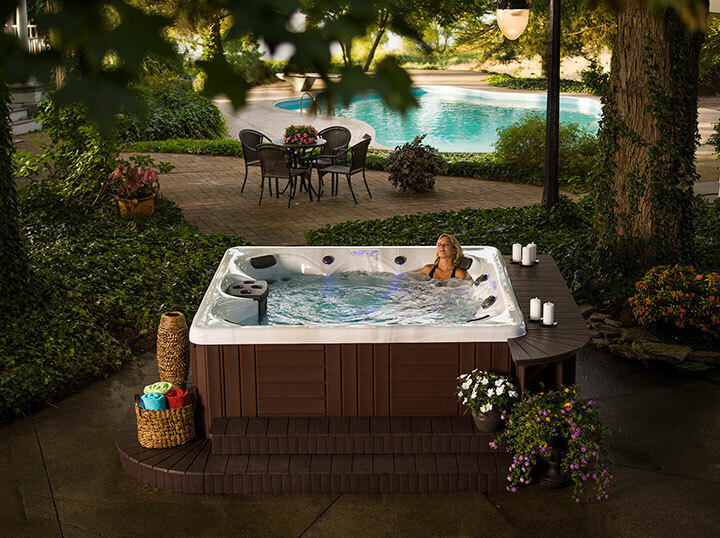 A hot tub from Master Spas will turn your backyard from “oh” to oasis. Here are five things to consider if you want to take your space to the next level with a hot tub from Master Spas. Any hot tub buyers guide will encourage you to pick a place to put the hot tub before going to a dealer. But we want you to think beyond the spa pad or concrete patio. A hot tub can be built in to a new or existing deck, recessed or placed under a pergola. Surround the model you selected with decorative pavers or stones, planters or beautiful blooms. Consider what features you want in your hot tub when planning your backyard design. Lighting can add ambiance to your patio or deck. We’re not sure about you but to us, there’s nothing better than sinking into the contoured seats of a Master Spas hot tub at the end of the day. Whether the light is low or the sun setting, plan for using your backyard retreat in the night-time hours. A pergola can be adorned with string lights or a lush garden could be dotted with tiki torches. 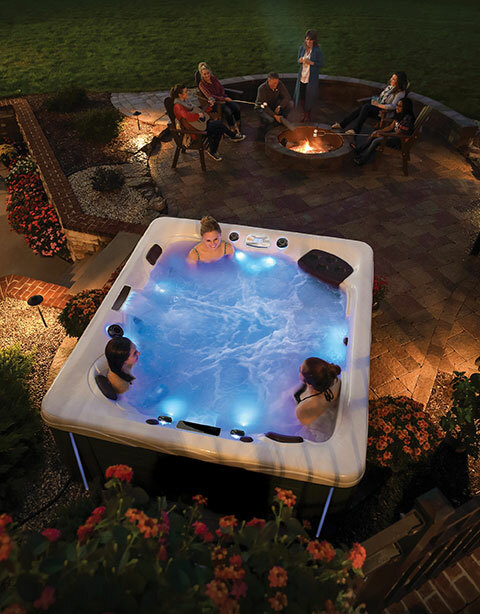 For the ultimate in mood lighting, consider adding one of the optional packages to your hot tub purchase. The Afterglow Light package adds drama to the hot tub with a kaleidoscope of colors through the jets while the Orion Light system creates a custom light show. And don’t forget Dream Lighting, which adds a glow to the exterior corners of your hot tub. But no backyard escape is complete without music. With the Fusion Touch Sound System, you can play your favorite playlist or stream TV shows or movies thanks to Bluetooth® technology. Master Spas manufacturers cozy hot tubs for two to spacious hot tubs for eight, all from its high-tech campus in Fort Wayne, Indiana. But as your planning your backyard makeover, consider adding additional seating. Lounge chairs and sofas can be placed near the hot tub, and you can enjoy dinner al fresco while at a traditional patio table. Some hot tub installations feature a bar top built around the perimeter with bar stool seating. It’s a great way to host a larger gathering without sacrificing personal space in the hot tub. Mature trees and landscaping can provide privacy for your hot tub. The goal of most any backyard makeover is to create a space that’s stunning to look at and look out from. As you consider the flowers, shrubbery and other aspects, consider the vantage points from which you will enjoy them. Be mindful not to create obstructions or leave a space untouched. Mature trees can provide privacy without having to install a fence. For more ideas, download our Backyard Planning Guide or contact your local dealer.